92N6E “Grave Stone” is an I/J-Band multi-function phased-array trailer-mounted engagement radar with digital beam steering for use with the SA-21 “Growler” theatre defence missile (Russian designator: S-400 “Triumf”, kyrillic: С-400 «Триумф»). It looks like, and is a direct successor of the engagement radar 30N6E “Flap Lid” in context of the S-300. 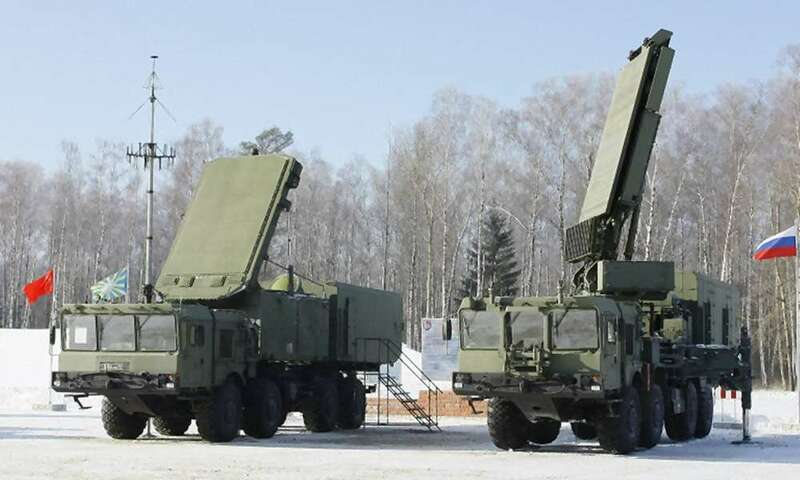 A significant difference in appearance is that the 92N6E radar is mounted on a special MZKT-7930 (8x8) truck chassis, while the 30N6E is built on the MAZ-7910 (8x8). New processors and digital technologies allow the 92N6E to double the missile range compared to the older 30N6E variant. The 92N6E uses (like the AN/MPQ-53 “PATRIOT”) a transmission type of space feeded phased-array antenna with a complex monopulse horn feed into the rear plane of the antenna, using a microwave lens (as seen in Figure 1: the round object on the cabins roof). This antenna has low side lobes as protection against noise jammers and anti-radar missiles. 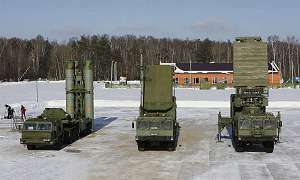 The 92N6E can control up to 12 missiles of type 40N6 against 6 aims in a range up to 400 km. Every missile is fitted with an active radar sensor and is involved in calculating of the precise target position (Track via Missile). As acquisition radars can be used the multi-mode radar 96N6E “Cheese Board” for all altitude regions, or additionally a 76N6 “Clam Shell” FMCW radar for low altitude targets. Even passive radars can be used.